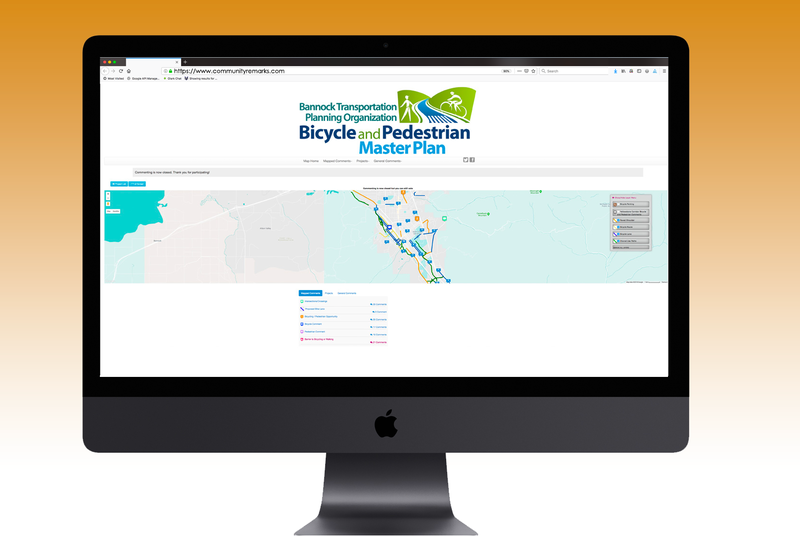 If you have an active transportation plan or a bicycle and pedestrian plan, an interactive map is imperative. 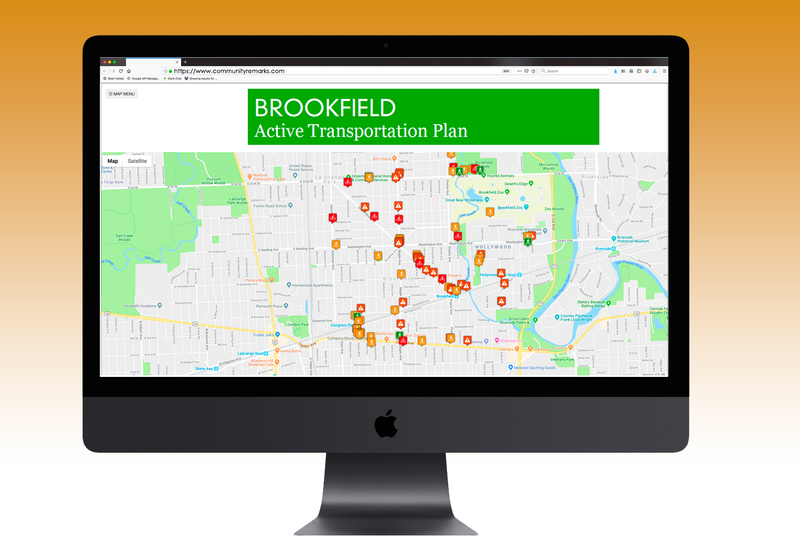 The Active Transportation Alliance utilized COMMUNITY REMARKS for the Brookfield, IL Active Transportation Plan. Street, sidewalk, and intersection recommendations identified during the community engagement process formed the plan to increase access to destinations. Bannock TPO ran 2 surveys at the same time through COMMUNITY REMARKS for the Bicycle and Pedestrian Master Plan. The public was asked to identify locations in Pocatello and Chubbuck where there are issues with bicycling and walking. The second survey conducted simultaneously focused on Yellowstone corridor improvements. Long range plans require several rounds of engagement. The first round usually collects comments around various topics. The second and third rounds present draft plan components on the map for feedback and voting. 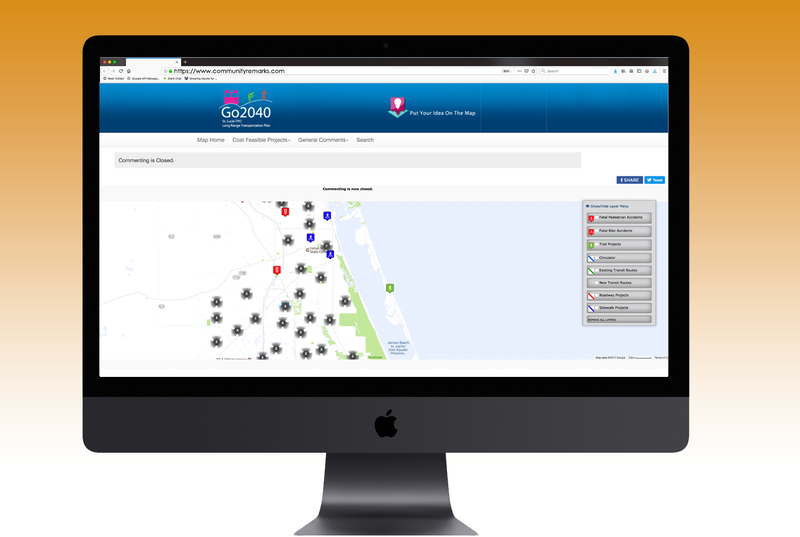 The St. Lucie TPO Go2040 and the Polk TPO Momentum 2040 plan utilized COMMUNITY REMARKS to engage with residents who are not traditionally involved in the transportation planning process. In addition to “boots on the ground” initiatives, they relied on social media to push traffic to their map surveys. They presented needs assessment and cost feasible projects to generate a crowdsourced project ranking matrix for the final plan. Land use can be overlaid on the COMMUNITY REMARKS map to display potential changes. 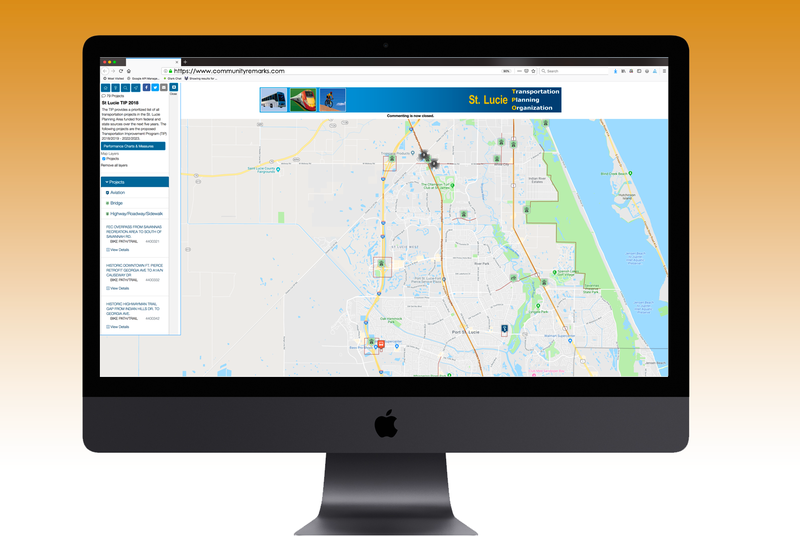 Pasco County, Florida created a Future Land Use analysis exercise to encourage an open forum for dialog. Residents were asked to add comments to the map by identifying where they would like to see changes or improvements. We are working on a land use planning module for COMMUNITY REMARKS. Participants can create their own land use map by dragging land use “chips” to scale onto the map. Ideas can be filtered by land use type or user. This will be an excellent way to gather feedback, illustrate constraints, and educate. The Genesee County Metropolitan Planning Commission utilizes COMMUNITY REMARKS for the Genesee: Our County, Our Future comprehensive plan that establishes a vision for the next 20 years. 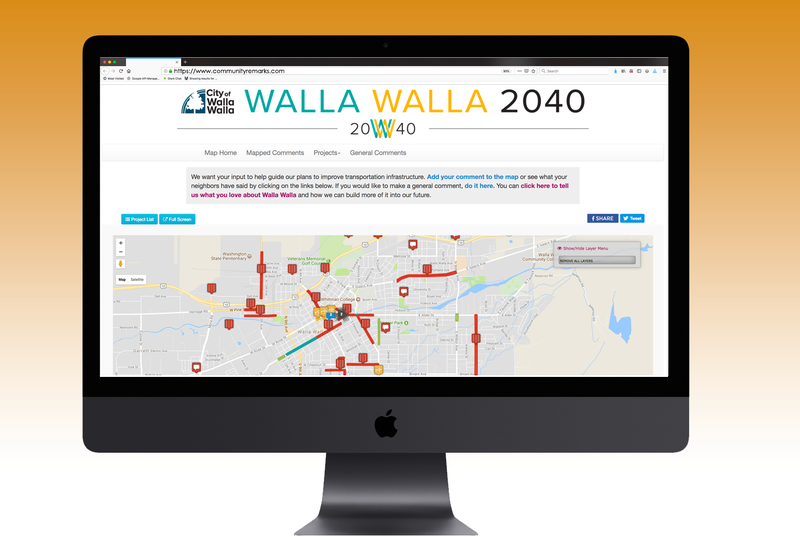 This vision is developed by analyzing land use, transportation, housing, environment, and infrastructure, along with gathering input from the public and local stakeholders. Polk TPO desired to increase public participation on their TIP. They utilized the capability to collect feedback on projects. They received 96 comments during the 45-day commenting period. That was up from 60 comments the prior year. They had not received any comments on their TIP prior to making it interactive. 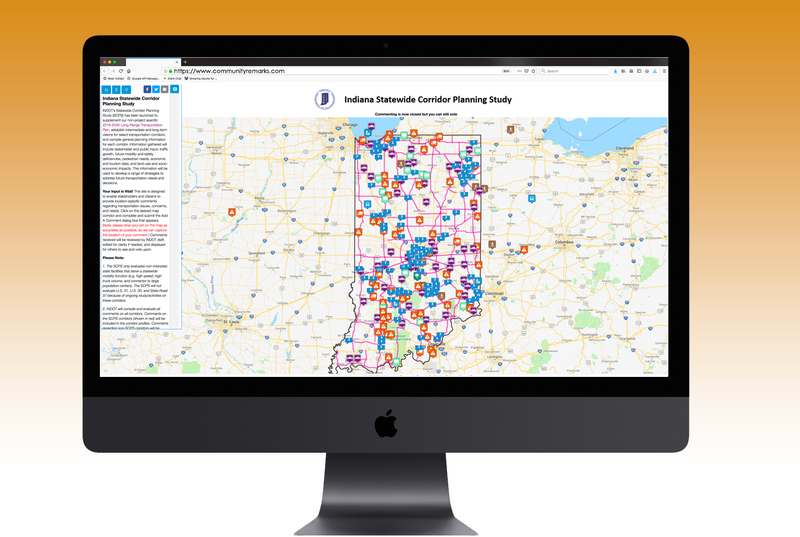 The COMMUNITY REMARKS platform has a module, SITEVISTA, that enables planners to create a historic preservation inventory survey from the field. The mobile-friendly admin enables photos and field observations to be geocoded on-the-fly. SITEVISTA is a template for producing a historic preservation inventory and document quickly. The Village of Libertyville, IL conducted a Downtown survey that reflects the arc of both commercial and residential development at the core of what is now the Village of Libertyville, and includes historic resources from that span from the mid-19th century to the present day. View the survey website, http://www.historiclibertyville.com/. 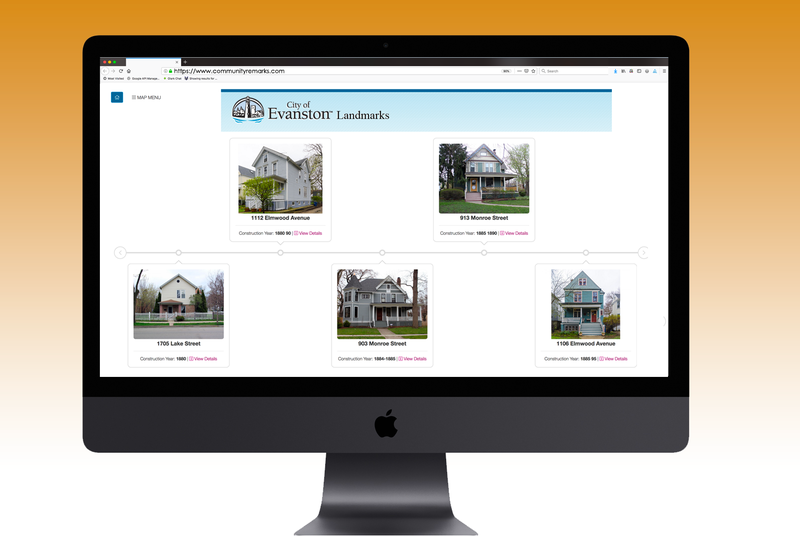 Over 400 landmark properties were evaluated in Evanston, IL through SITEVISTA’s powerful capabilities to georeference the surveyor’s location and capture images and architectural details from the field. 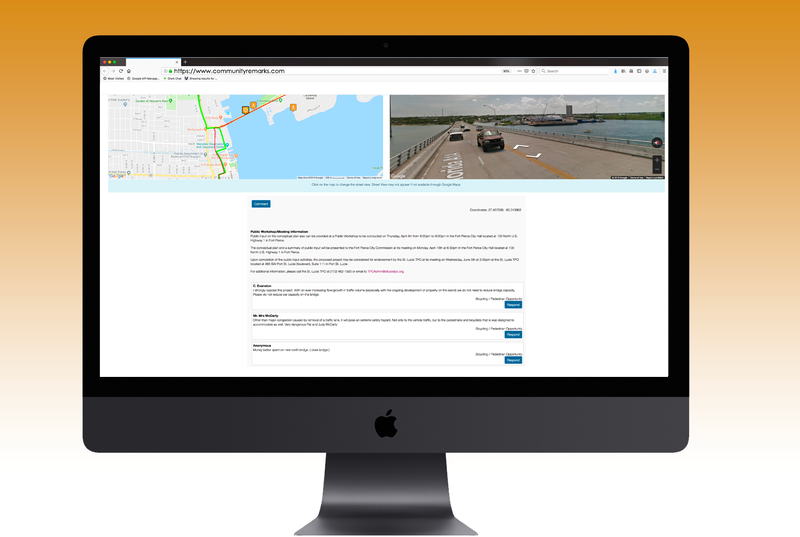 Visit the survey website,https://www.sitevistamaps.com/evanston/. 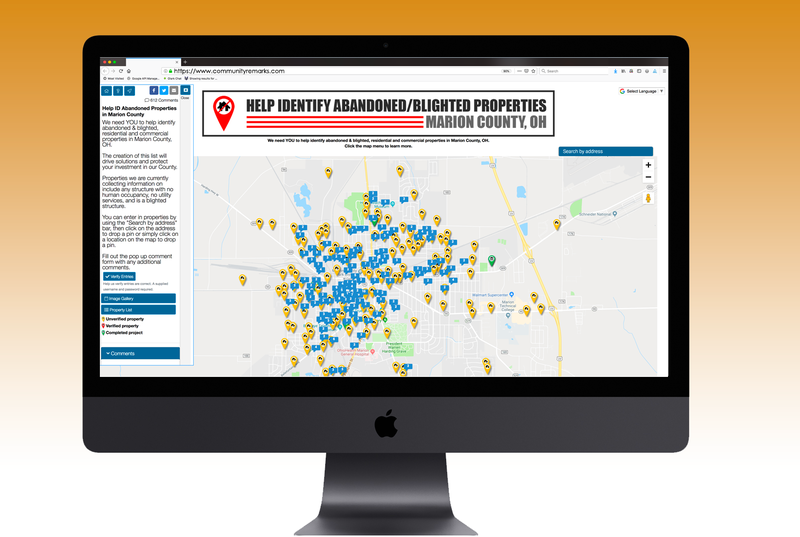 Crowdsource locations to plant trees, blighted/abandoned properties, or responses during an event. 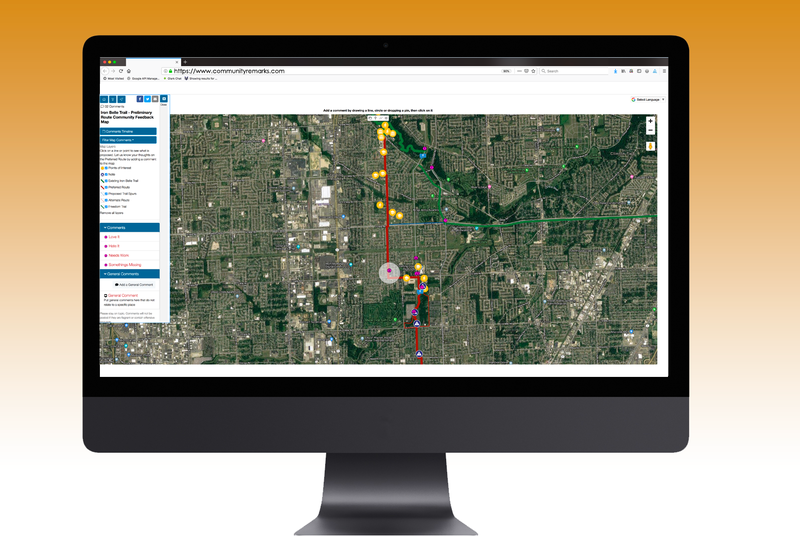 COMMUNITY REMARKS has modules to present GIS to receive direct feedback. 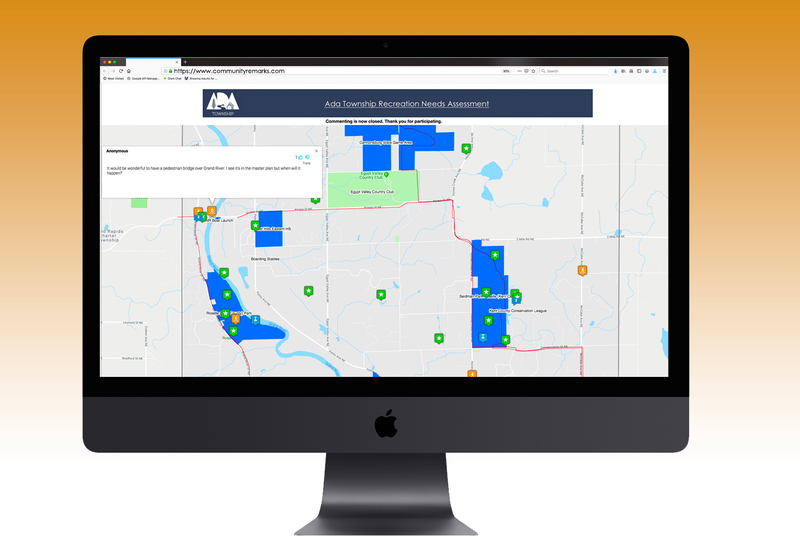 Flood mitigation surveys can capture detailed information about needed improvements. View comment statistics in charts and timelines. Coming soon we will be using natural language processing to garner sentiment about topics. Export comments as a PDF with a map location for each comment, spreadsheet, and KMZ to import into GIS. With permission, it can detect the user’s location to automatically drop a pin on the map. The SITEVISTA module detects the surveyors location to record property details for historic preservation surveys. JSON, KML, and an uploaded attribute table can be integrated for sharing complex data and gathering feedback on projects. 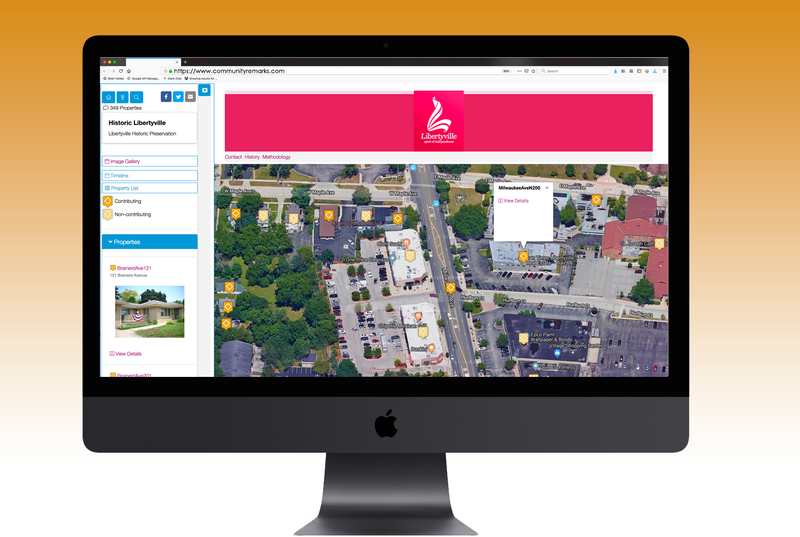 Capture place-based comments and photos in real-time to collaboratively solve issues in your community. Citizens can draw lines and circles or put pins on a map to illustrate a story. COMMUNITY REMARKS is a mobile-friendly, web-based application that is ready to go when you are. Better informed residents and decision-makers make better plans. You can show improvement projects and illustrate pertinent project details to get informed feedback. Crowdsource comments during your visioning process, then present plans for enhanced engagement. 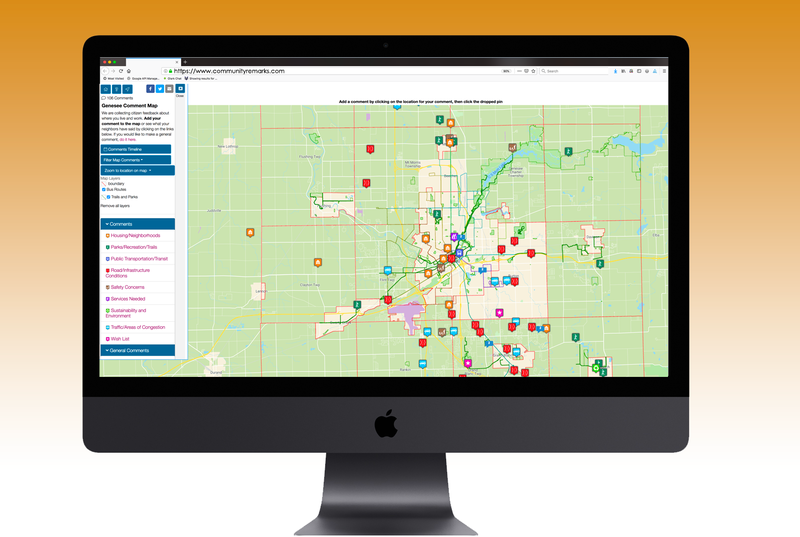 We are the leader in citizen engagement survey maps. COMMUNITY REMARKS has set the bar on what a comment map tool can accomplish. Expand your toolbox, start engaging today. Using Community Remarks alongside social media allowed our TPO to collect public comments in an effortless manner. 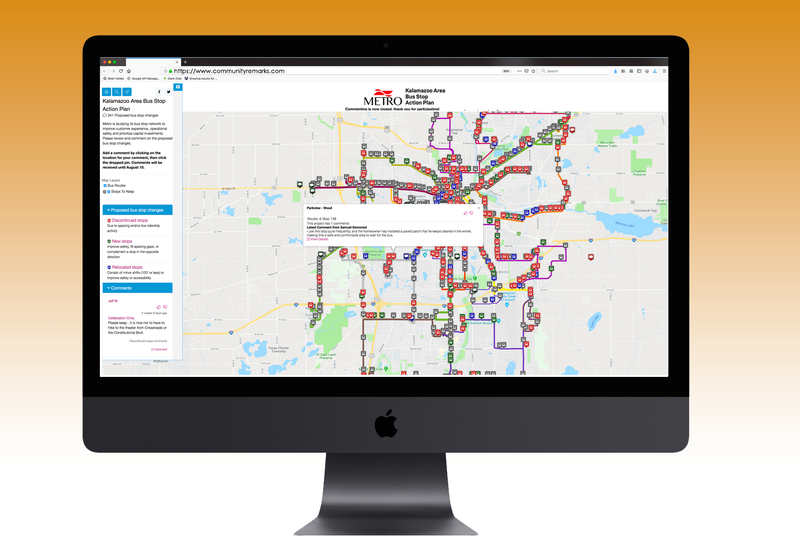 Having the ability to communicate with the public and share their concerns makes this a great tool for both public involvement and transportation planning.